Make the most of your Milwaukee space with custom wood furniture & millwork from Lechner. 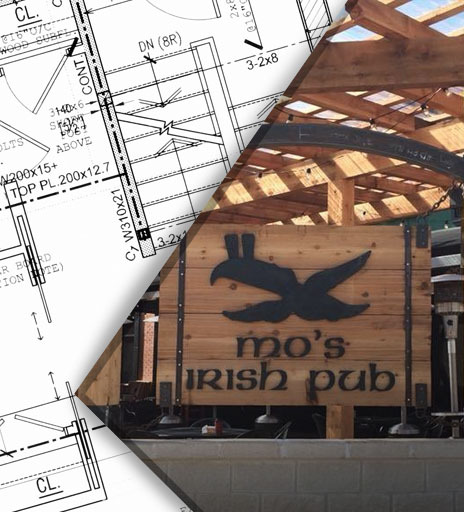 We love working with business owners, architects, general contractors, & interior designers who are working on commercial new builds and commercial remodeling projects. The more creative and complex your design, the better. We’ll take on any challenge if our equipment has the capabilities to meet your exact specifications! Our talented craftsmen are adept in woodworking and CNC services; enabling us to achieve incredible results on any type of project. We’re happy to collaborate with you on a design or work with designs you already have. Regardless of project size and complexity, our team goes the distance to meet budget & timeline demands while exceeding our client expectations. If achieving this feat means working late or harder, then that’s exactly what we’ll do. 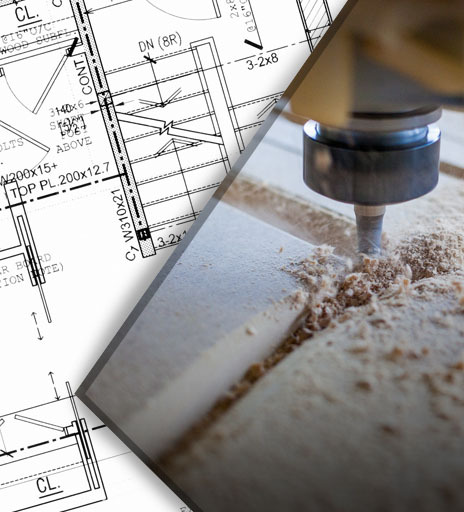 Learn more about our woodworking services or get an estimate – contact us! Our Woodshop is capable of handling all of your woodwork – no matter how small or large the project. Below are brief descriptions of popular wood products we regularly fabricate for clients. If you’re looking to prototype a new product or hoping to get a quote on a unique design, give us a call! 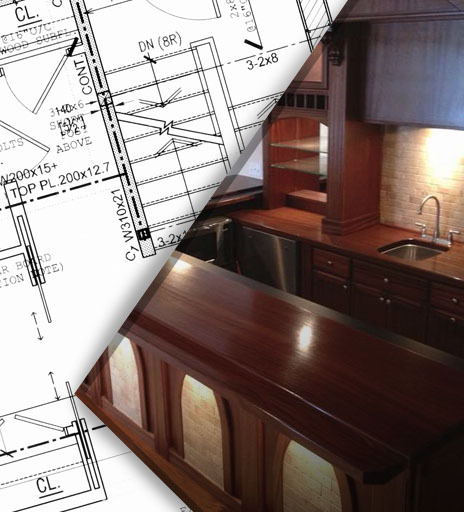 Whether you’re making a small kitchen update or transforming your home with a full remodel, Lechner is an incredible choice for residential millwork and products including: Cabinets, Wainscoting, Moldings, Home Bars, Shelving, & Display Cases. Our commercial millwork division provides high quality millwork products to contractors, remodelers, and business owners in Milwaukee, Wisconsin. If you’re looking for a local Millwork Shop to handle the fabrication of doors, cabinets, wall paneling, service desks, wall shelving, or more for your commercial projects, we’d be happy to give you a quote! We also specialize in furniture for restaurants & bars. Popular products include: Full Bars & Bar Tops; Booths, Benches, Bar Stools & Chairs; Liquor Display Cases, Wine Lockers, Tables, Hostess Furniture & More. Our products are perfect for offices and retail stores too. Looking to update your waiting area or reception desk? We’d be happy to discuss your options and exactly what we can do for you! Milwaukee, Wauwatosa, West Allis, Hales Corners, Oak Creek, Franklin, Greenfield, South Milwaukee, West Milwaukee, Bay View, Cudahy, Glendale, Brown Deer, Shorewood, Whitefish Bay, Greendale, River Hills, Fox Point, & St. Francis. Get a quote on custom woodworking services – call us!